If you want to successfully grow your company then you have got to be firstly constantly expanding your customer base and keeping up with the modern strategies available to you in order for you to achieve your goals. Gone are the days of such things like direct mail and cold calls – who ever read or listened anyway? – and in comes the digital revolution and a new era of marketing known as digital marketing. Now this concept is not as easy as you might think and to do it right and get it to work for you will need some explaining. Here is how a friend of mine expanded his dental business using some dental marketing techniques, and I can tell you it was pretty successful. One of the first strategies that he used was to set up a blog. This is such a simple process to do and you can either use free services like WordPress or you can use some subscription services that even provide you with tools to set up websites and links to his own website. 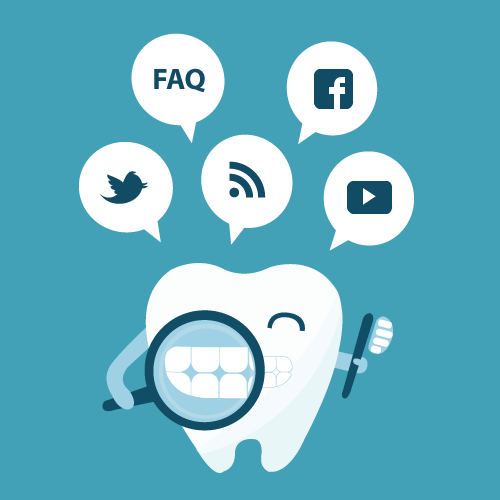 once it had been set up he would just employ a member of staff to keep it updated and write articles for his blog about various aspects of dental health and various successful procedures he had carried out. He would even put stuff on there like tips on how to prevent or help people overcome nervousness which is a very common anxiety that people have about visiting the dentist. The second thing he did was to employ the services of a company who would digitally advertise his company website. There are a few ways to do this such as using Google Ads but he used what is called a search engine optimization (SEO) company. He chose this because the Ads service was expensive and essentially by using an SEO you achieve the same goal. The way he explained it to me was that the SEO basically works to improve your position on the pages of search engines like Google. Not quite sure how it works but the aim is to get on the first few pages of Google and then stay there. The last thing he did was set up an Instagram account. This worked pretty well because as he does quite a lot of cosmetic work it allowed him and his existing clients to photograph and show off his work with before and after shots which people then shared, not only on Instagram , but also Facebook. All in all, it worked pretty successfully and he now has quite a long waiting list for his services.